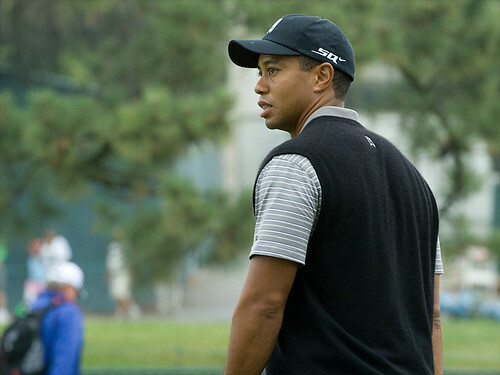 The Farr Place: Tiger Woods -- just another potty mouth! Premiere athletes like Woods are held to a higher standard than the rest of us mortals, and to be caught uttering curses that include God and damnation (and you know what I’m talking about), is just a jaw-dropping lack of self control from a man who prides himself on having super-human self control. Tiger, don’t you know that little kids are watching your every move to see how they should act in the face of disappointment? Don’t you know that teenagers just on the start of fledgling golf careers analyze what you say and do in order to be just like you? Don’t you know that grown men secretly take notes of how you swing so they, too, can become better players? So what’s next, Tiger? Are you going to get caught smoking a joint on the back nine? Are you going to be arrested for robbing convenience stores after losing again? Are you going to be a hunted man for letting married women hold your putter and play with your balls? Oh, the thought of it is just too much for me to bear!